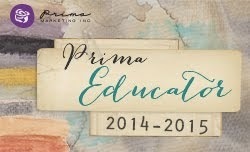 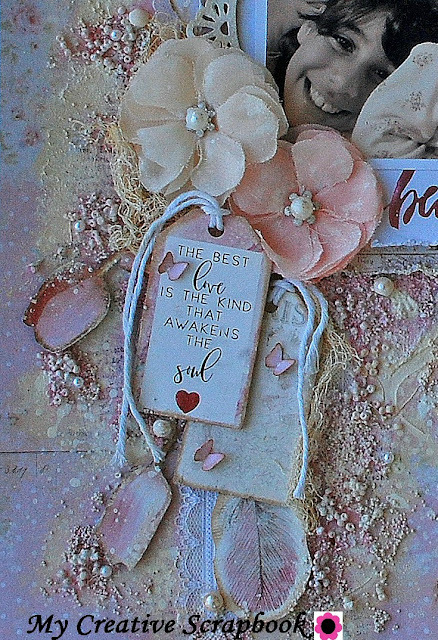 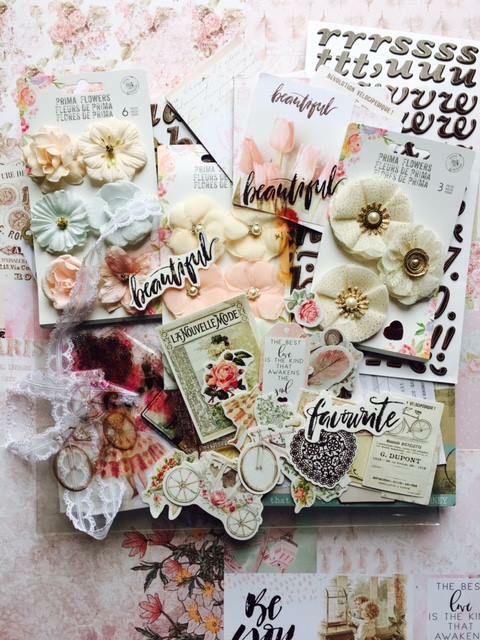 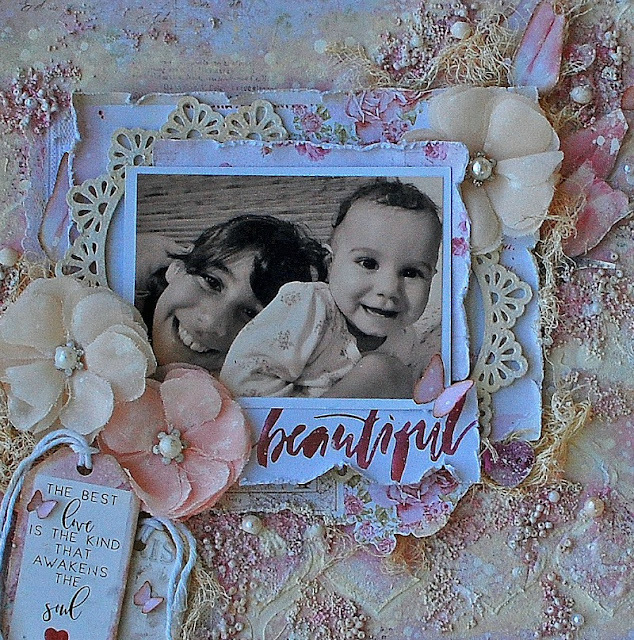 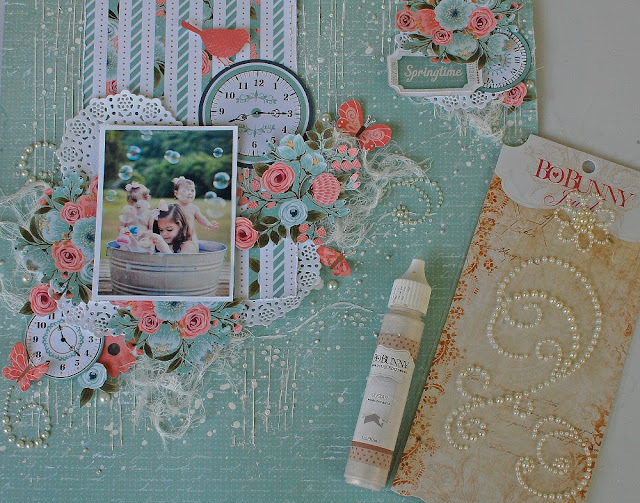 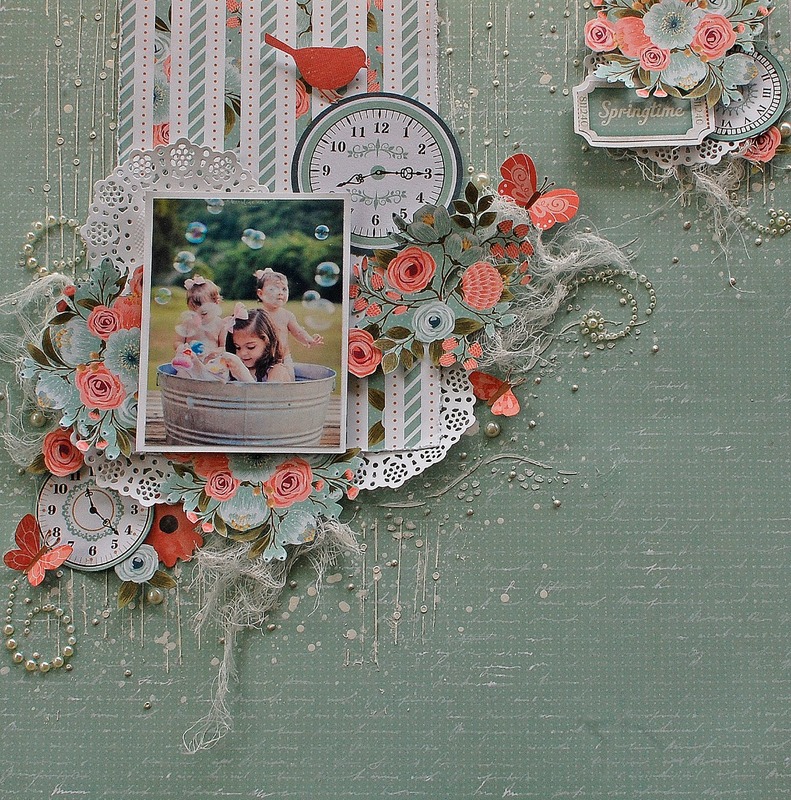 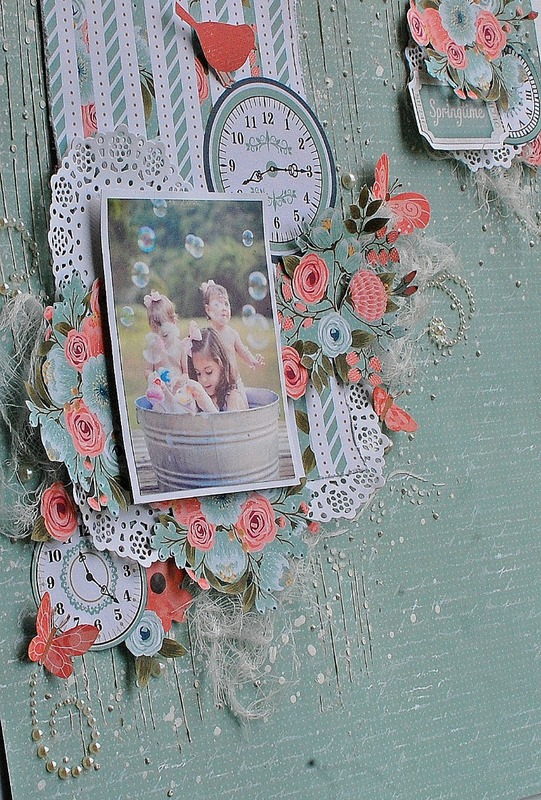 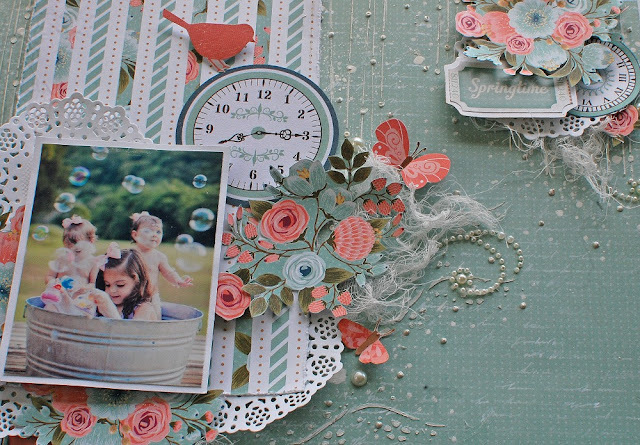 This paper is my favorite from the Love Story collection by Prima Marketing featured this month in the Limited Edition kit. 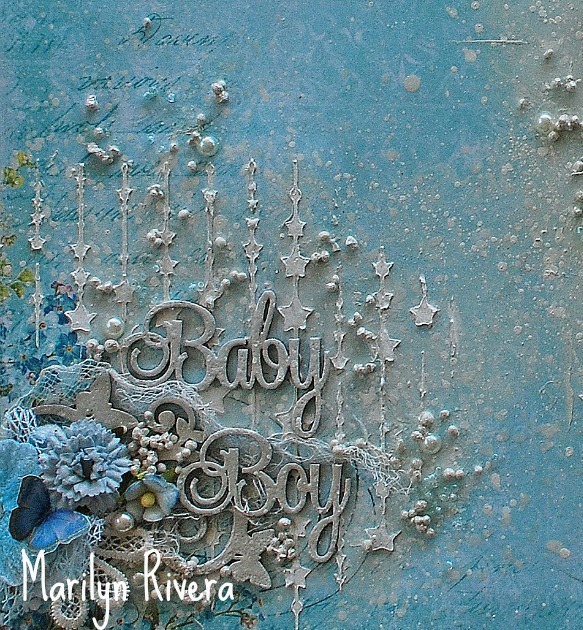 I started preparing the paper with gesso clear then I gave textures with the 12 x 12 kit' stencil and modeling paste. 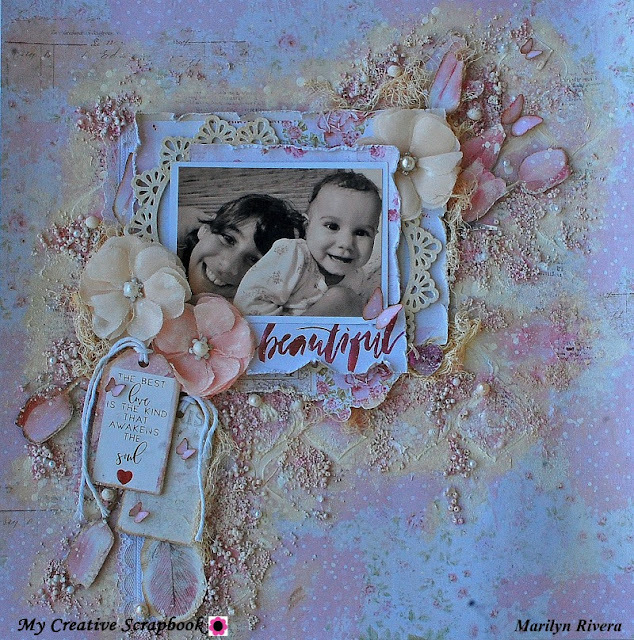 These are my lovely nieces Camila and her little sister Milena. 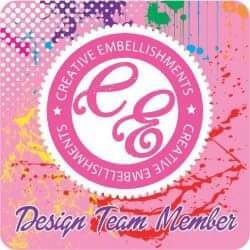 I made this page for them. 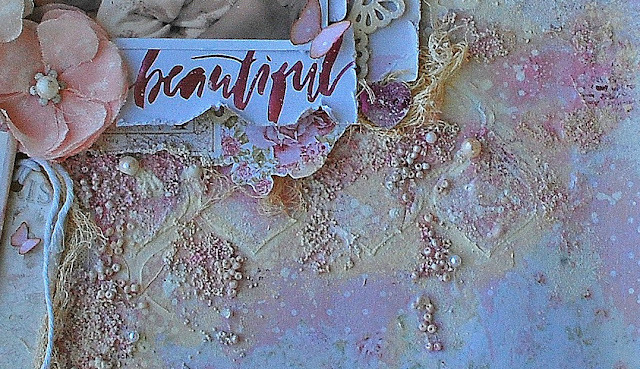 I painted with ivory acrylic paint the chipboard and cut it by half to make two pieces that I used in the corners of the photo. 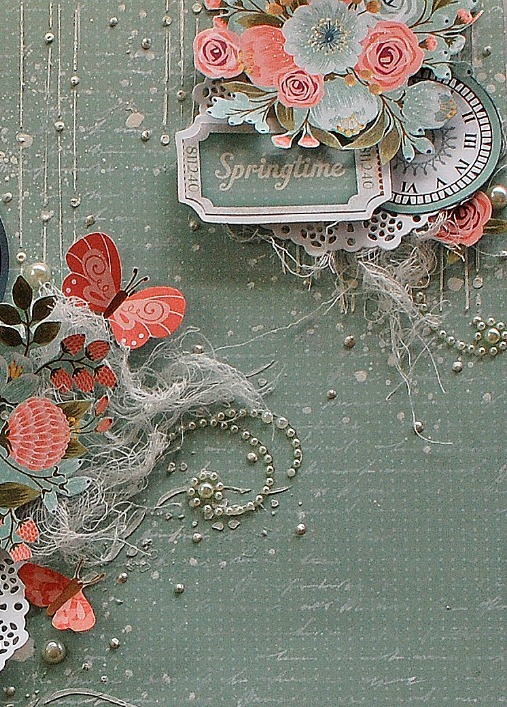 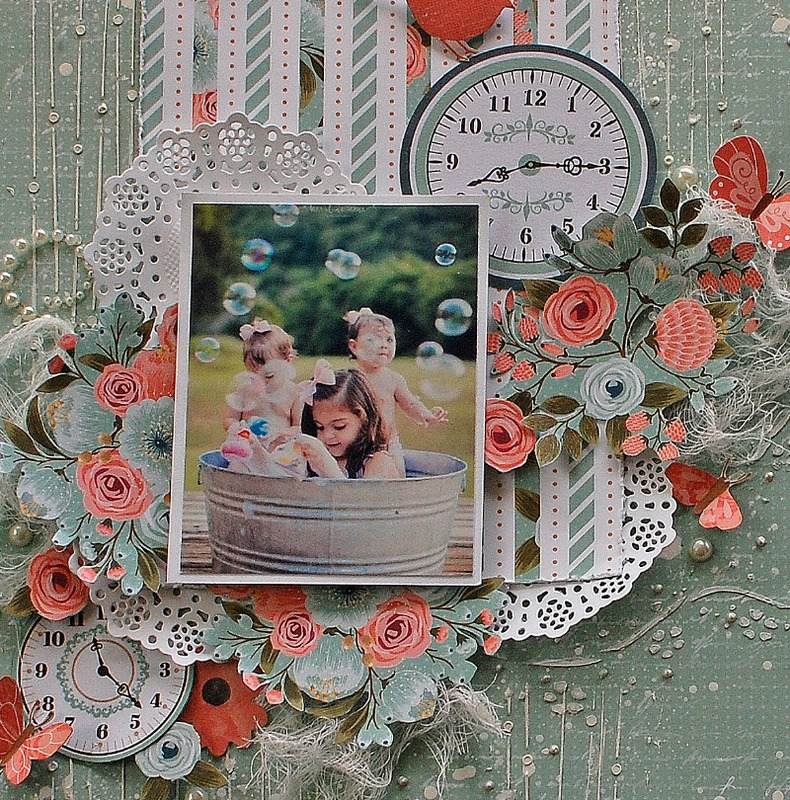 I added some die cuts from the ephemera package but I made fussy cutting from the papers to create this composition. 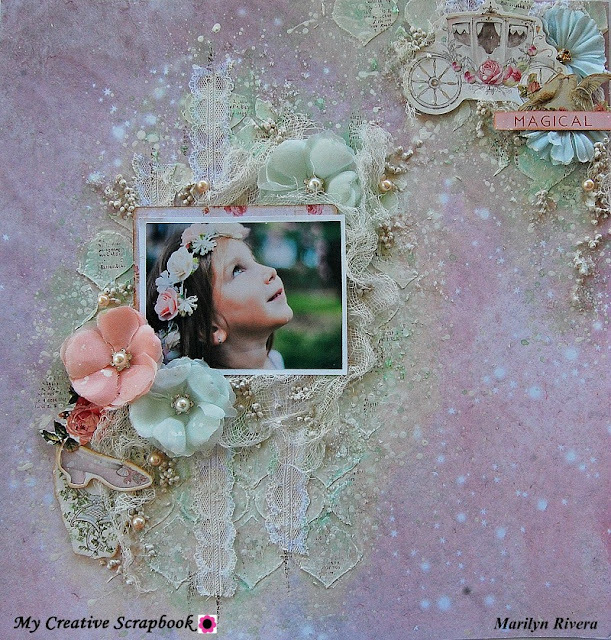 I made a paste with the mini art stones and gel medium that I spread over all the stencil work on the page. I cut and distressed the title from the papers. 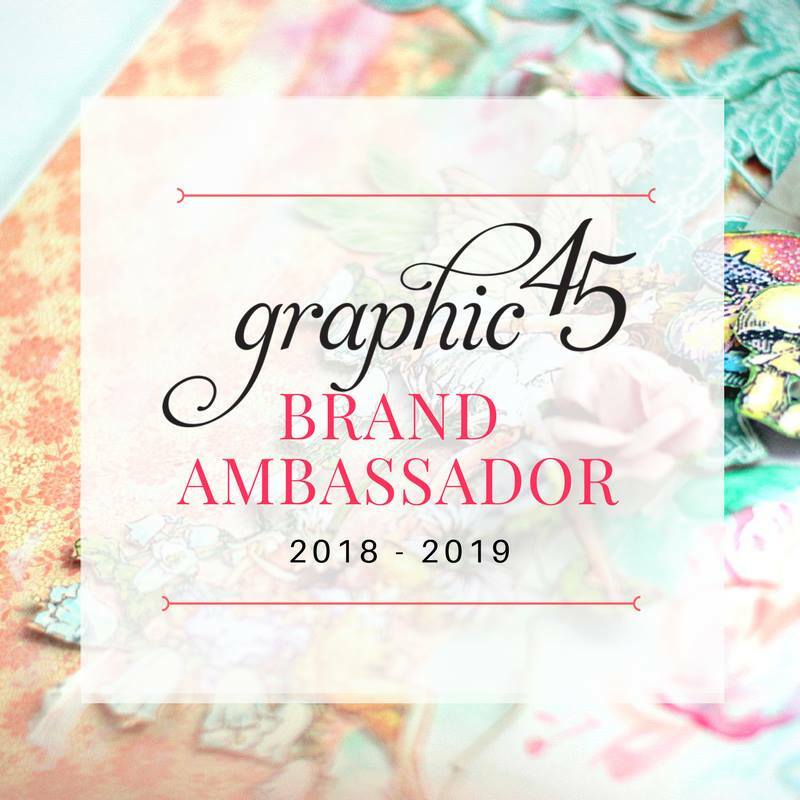 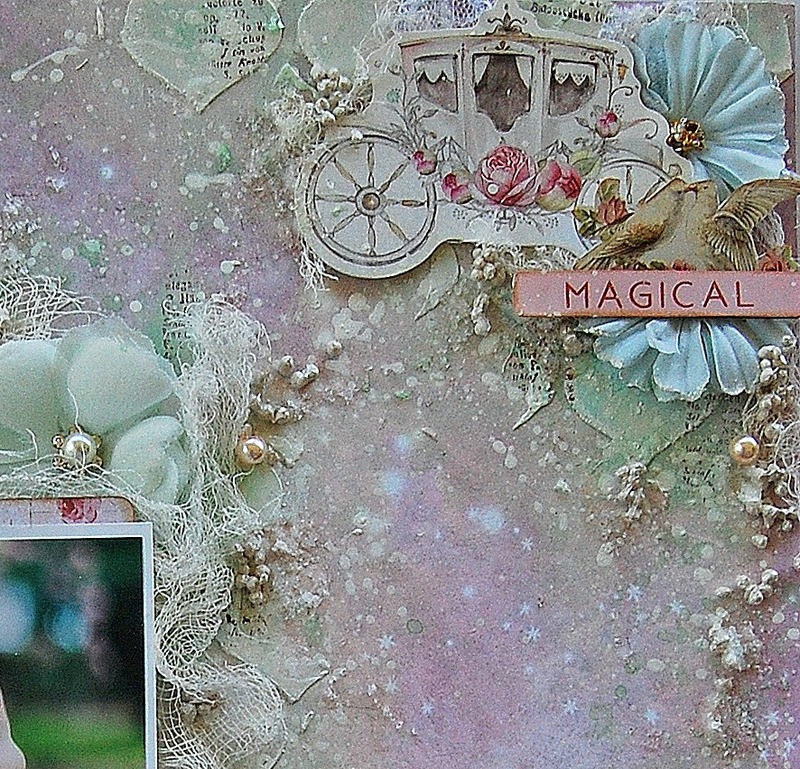 I love this paper by 49 and Market, the design made me think in magic and inspired me to create this page. 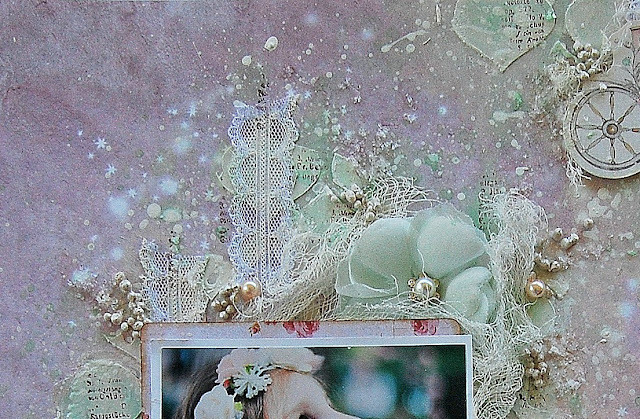 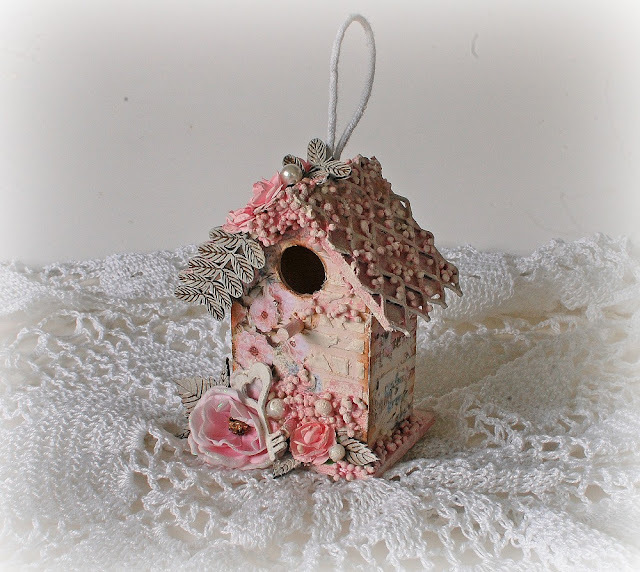 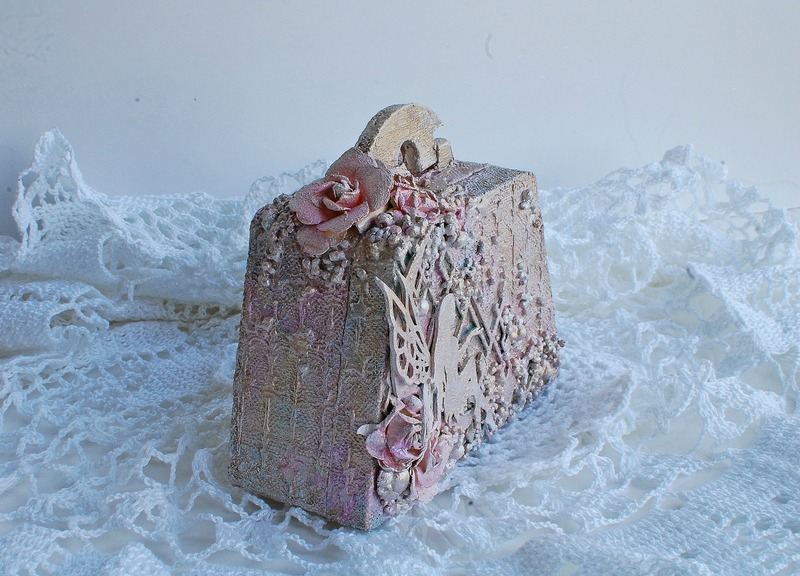 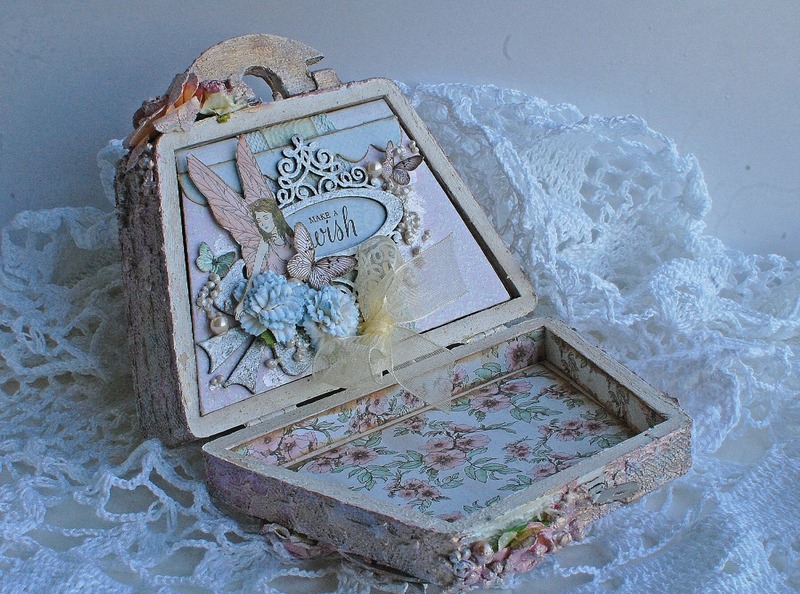 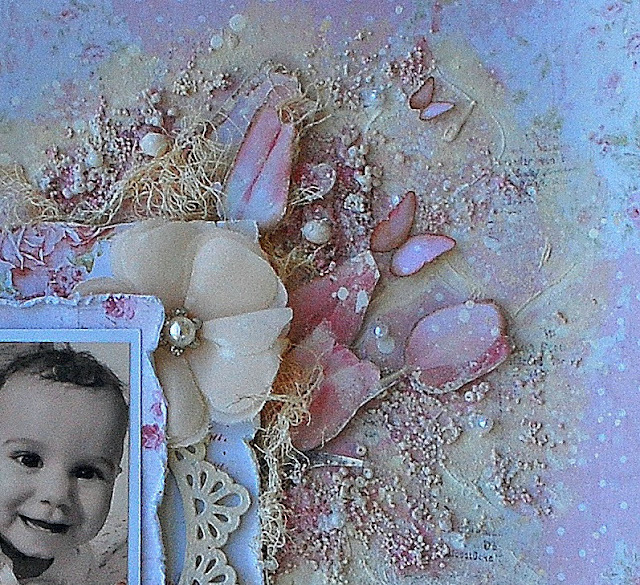 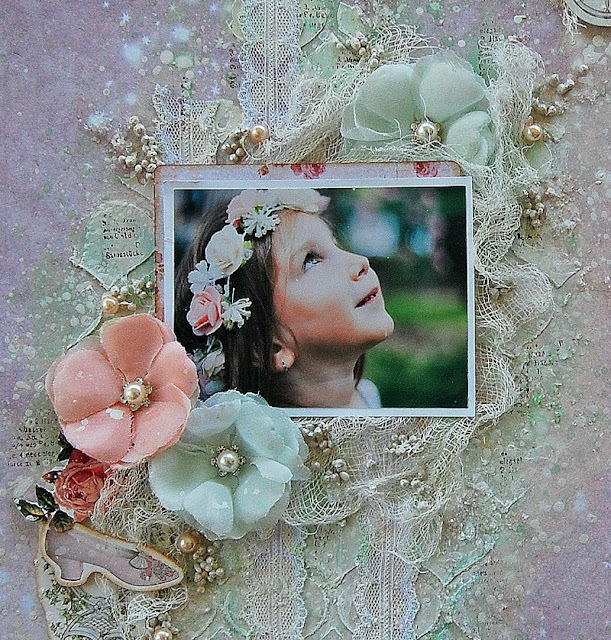 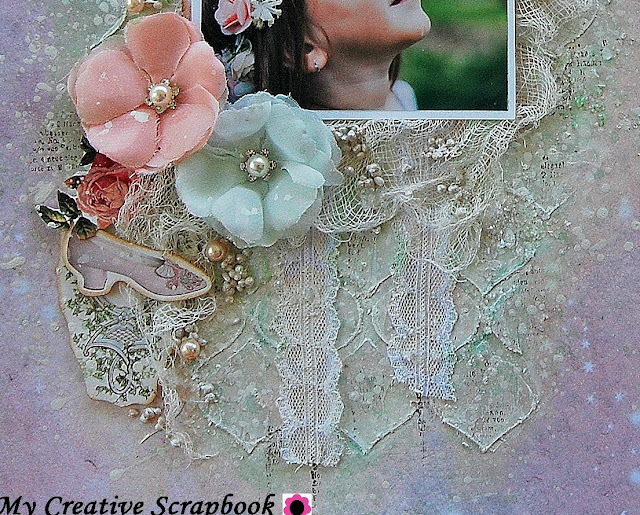 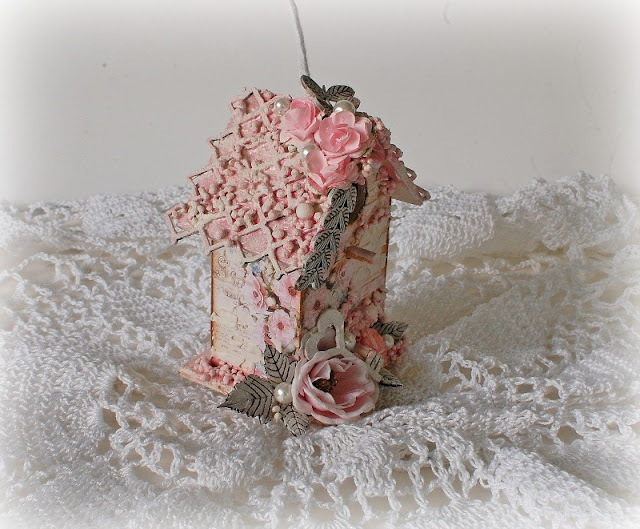 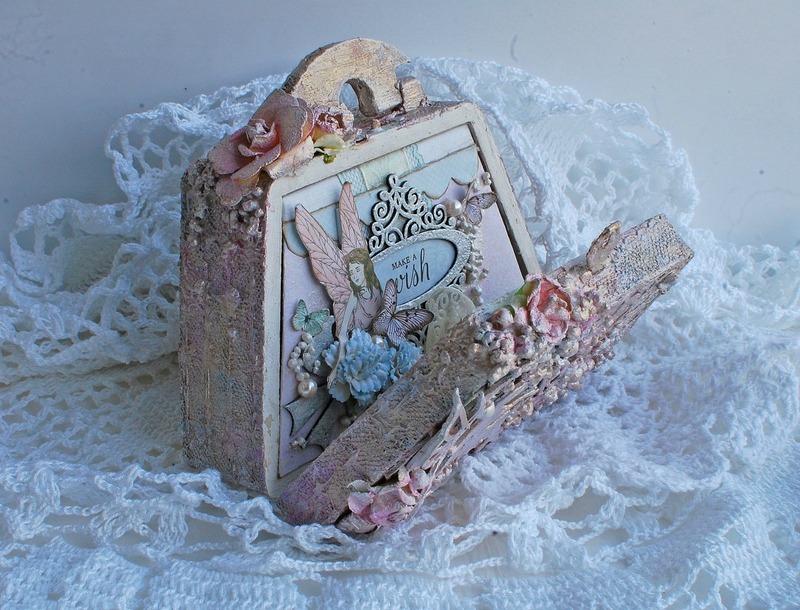 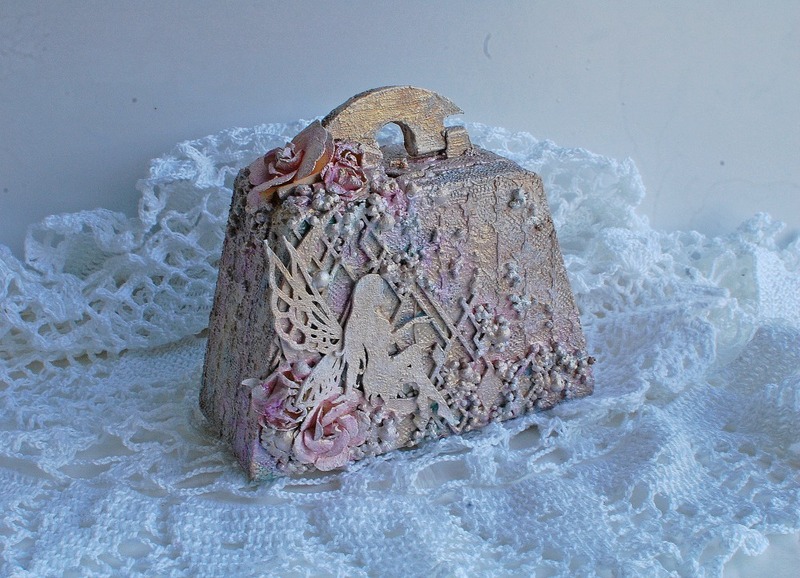 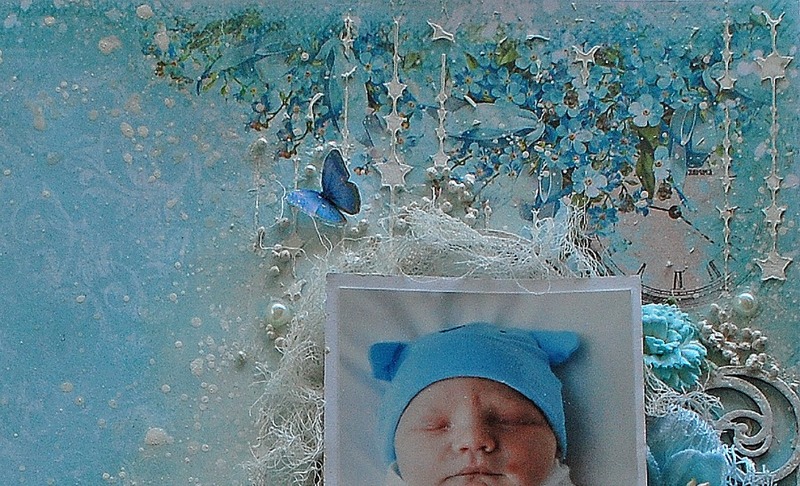 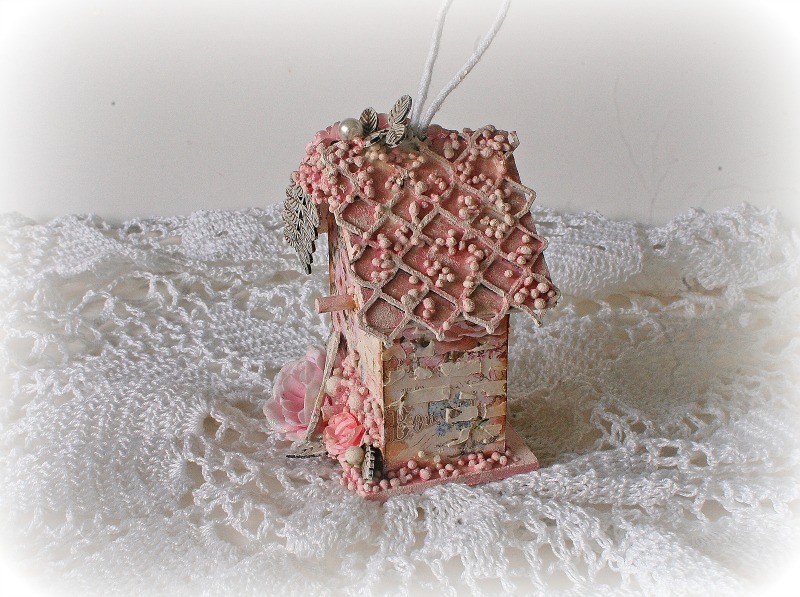 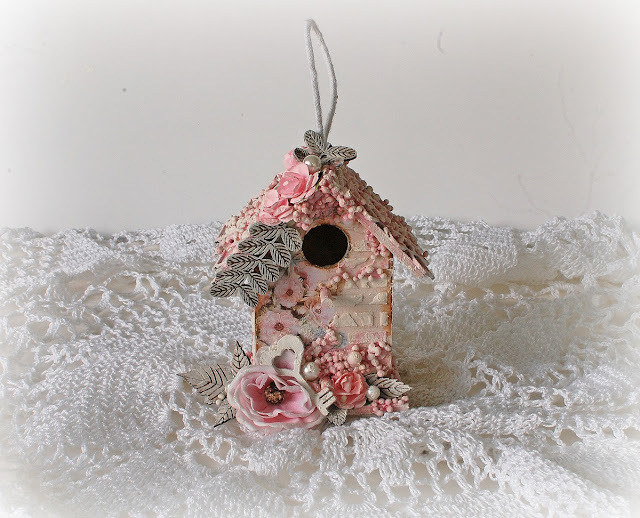 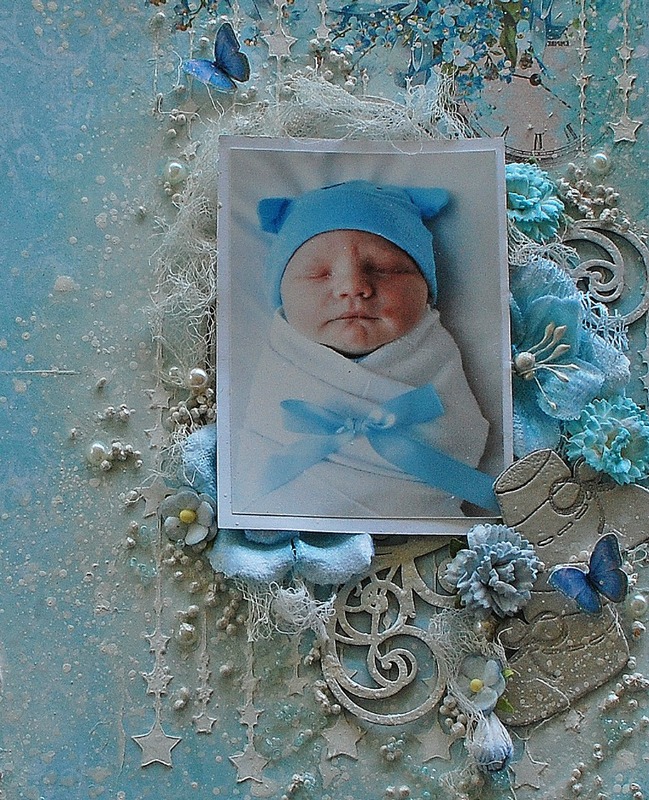 I used the ephemera package from the Love story collection and with the lace I created a vertical design on my page. I love that this month the kit comes with this pretty lace. Then I gave textures with the 12" by 12" stencil and modeling paste. I worked with the fabric flowers on my page. 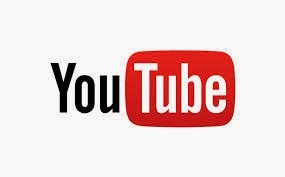 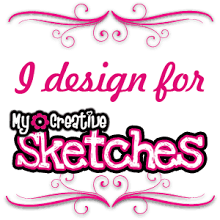 You can watch all the process in the video tutorial in my YouTube channel. Here are some closer details..